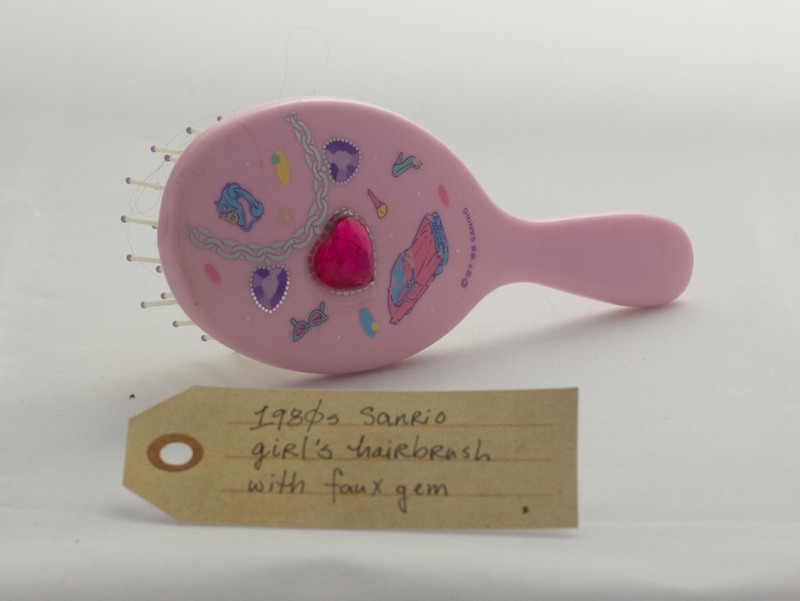 1980s girl’s Sanrio hairbrush with faux gem | That Belongs in a Museum! This is my 1980s Sanrio girl’s hairbrush with a faux gem in the shape of a heart on the back, I’ve had it since I was probably 3 or 4. Once the small gem fell off the back and I was completely inconsolable. I couldn’t imagine anything worse happening, and my mom glued it back on, and the glue still feels a little bit tacky because it’s that kind of glue that’s a little bit rubbery. It was the first time I saw something being glued back together. It was kind of a life changing for me because I didn’t know you could do that before that happened.